These are some hair tips which you can add into your haircare routine, so your hair can get the best care from you and also look healthy and shiny. No matter what hair type you are these do's and dont's will help you have more healthier, happier and manageable hair. The frequency of washing your hair is a big factor in keeping your hair clean as well as looking after it, did you know that if you wash your hair too much you are actually making it dry which can lead to easy hair loss and dry scalp, and we don't want that. So, if you already have dry or coarse hair, a haircare tip would be to wash your hair every either second or third day, basically, two or three times a week using a moisturising shampoo that can change your dry hair to beautiful shiny hair. If you have oily or fine hair and you want to get rid of the greasiness of your hair, washing your hair everyday for a short term of time (maybe three to six months) can help this, and when you feel your hair is improving you can change your routine to washing your hair every other day, so that would be either three or four days a week, it is recommended to wash your hair every other day if you have normal hair. Also, try and wash your hair with medium temperature water, so a mix of warm and cold water. Washing your hair with warm water can make your scalp dry and can cause dandruff, whereas cold water actually gives your hair a shine and makes sure you dont cause any damage. In addition to washing your hair, try and avoid drying your hair with a hair dryer and go natural because it's best to let your hair dry naturally if you have no time to air dry your hair use a low warm setting on your hair dryer, as well as heat protection. When drying your hair with a towel don't be too harsh as I know we only do that to make the hair dry faster, but that actually splits the hair and can cause it to break, so instead pat your hair on the towel and be generous. 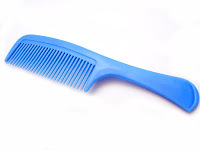 Before you go to wash your hair it is important to comb or brush your hair, so your hair is knot free this will help more water and more shampoo to get into your hair easily to make it even more clean and for the shampoo and conditioner to do its work for you to get the best results. Before applying shampoo make sure you wash your hair naturally with water first to get rid of any dust or dirt then apply shampoo. However, don't shampoo or conditioner your scalp too much as this can cause dandruff and spots to appear on the scalp. Also, use products that match your hair type. You don't need to use a lot of shampoo, it is recommended to use about 2.5 cm circle of shampoo. Try and use natural shampoos if you can or even dry shampoo or shampoos that have the good end result that you are wanting your hair to have. Honey can be used to make your hair shiny. Also, when washing your hair don't use steaming hot water as it can make your scalp dry and can cause dandruff, and obviously you don't want to use cold water either because you don't want to freeze, so it's best to use a mix of warm and cold water as it's much better for your skin and hair. Brushing your hair at least every single day is good to make sure your hair isn't making any knots, and obviously you would want to have a change of style on your hair everyday and to make that style it is important to brush your hair, and when brushing just be gentle with your hair and any knots you have. Too much brushing can lead to damaging your hair, so be gentle because brushing your hair too hard can cause hair loss and hair damage. It's always best to brush your hair from the end first to get rid of any tangles and then when that's done you can fully brush your hair, from the top to the bottom it will be much easier and gentle for your hair. Brush your hair when it is dry, so basically before it is wet and before you go to wash it, so that way it can make it easy for you to comb your hair after you have washed your hair. When it's a lazy hair day and you don't feel like brushing your hair, a little bit of a brush can really help or even keeping your hair in a bun can also prevent the lower ends of your hair getting tangles. Using too much of heat tools on your hair can indeed damage your hair, the way to cut back on that is to use natural ways to straighten and curl your hair. To straighten your hair naturally, after you have washed your hair brushing and combing wet hair until it is dry can help it go straight with the help of hair oil. Now if you are looking to curl your hair as well, there are ways naturally you can do that, plaiting your hair can give your hair a wavy and curly look, hair rollers can make your hair curly and there are hair rollers which you can get that are not heat rollers and in different sizes, to achieve wavy hair results twist your gently round then form a bun in a few hours you will have wavy hair, these techniques don't involve using heat but can still give your hair some style. If you have a lot of knots in your hair, consider purchasing detangling spray to make your hair easy to brush, my favourite is Avon mango detangling spray.